Petite Floral fitted sheets for your nursery. 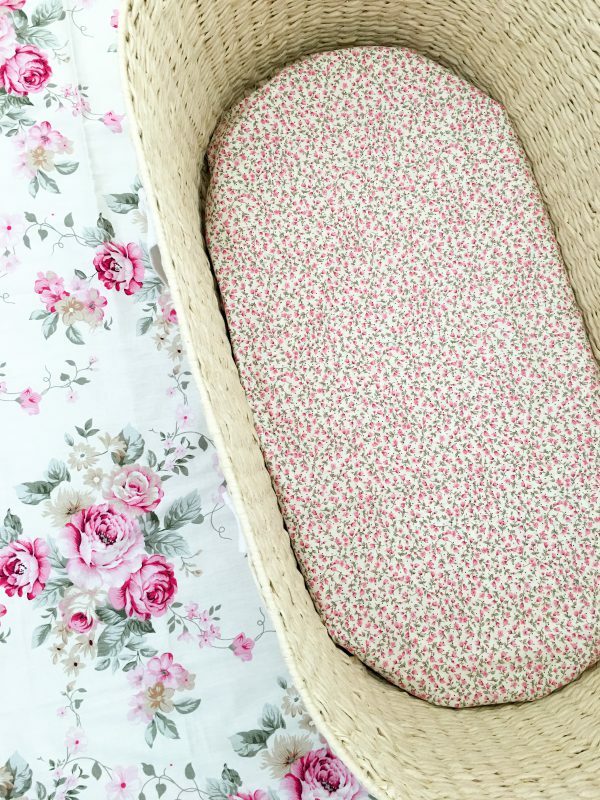 These Petite Floral fitted sheets are just gorgeous and have a lovely vintage feel. The small floral print suits the smaller mattresses perfectly. Handmade using lightweight cotton fabric with overlocked edges and fully encased elastic around the entire sheet, ensuring a great fit. The Bassinet Sheets include french seams. 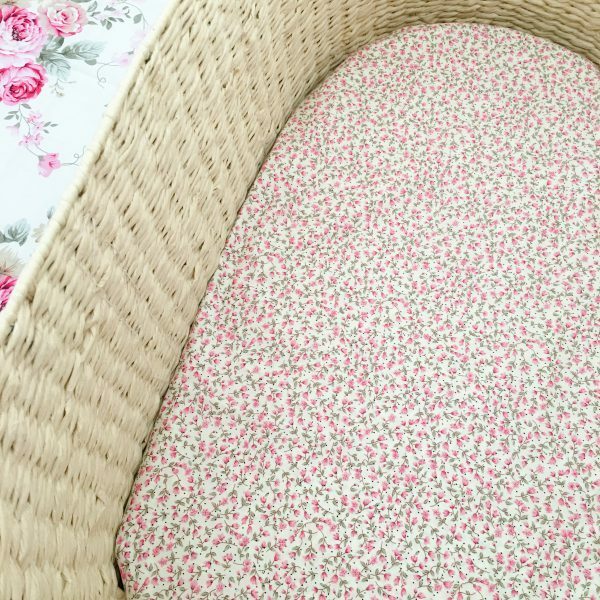 Moses baskets come in a variety of sizes and I am happy to customise your sheet for you. Please contact me via email to discuss options. All sheets are made to order according to the above sizes. Please allow up to 2 weeks for your order to be made. Delivery times may be extended when fabric is delayed from our supplier.